The movement of parts within the liquid reduces dramatically the washing time and improves the cleaning efficiency, without affecting negatively the duration of the cleaning media. 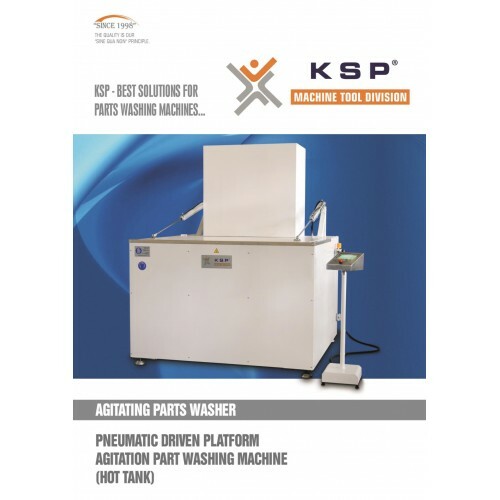 KSP agitation machinery which are designed for the removal of oils, chips, and particulate from a wide range of components by using water based detergents and environmentally safe solvent chemistries. All functions are operated by a PLC control unit. 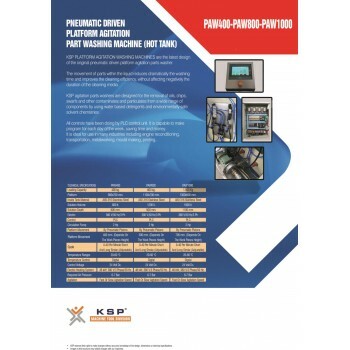 Please refer to the above PDF for further details and specifications of these units.